I went through the conference website and what I got was that this is a tech conference aiming to engage and inform. I was told that the Connect name is historical, coming from the last iteration of this event, and relates to the people networking and mentoring components of this event. So, you should walk away learning some things and appreciate the potential of tech to move us forward. Think about how you can better make use of tech in your space. (Side note - I like to think of myself as an ideas machine, so if you want ideas and have tech questions, feel free to CONNECT with me). 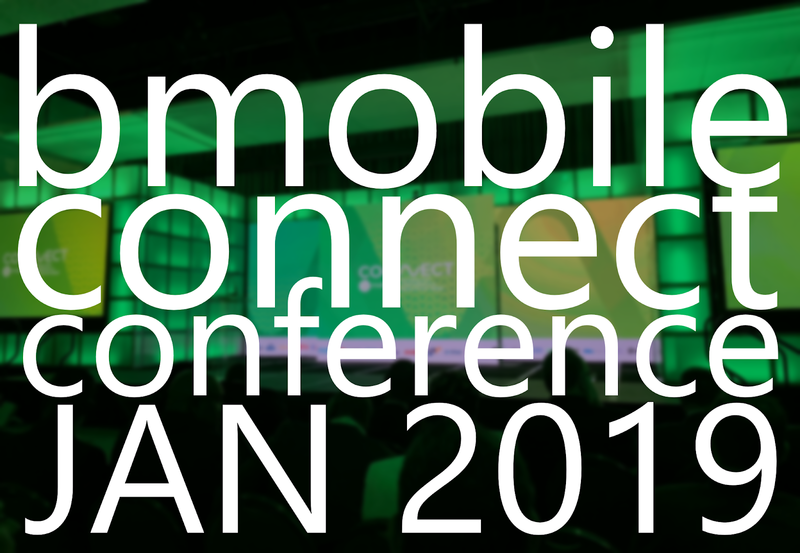 The hashtag for the event is #bmobileconnect. Share your thoughts and photos from the event using this hashtag as I will be monitoring the hashtag during this week to see what persons have said. I love that a code challenge is part of this conference. One of my dreams is to see tech and coding be made a core subject in primary and secondary school at the same level as Maths and English. So we would have Maths, English, Tech and Coding, and General Studies, as the core. Another idea I have is Tech and Coding as a development course for all employees, at the same level as Performance Management, Project Management and the likes. When you understand the tech and a bit about the nuts and bolts, you will be more responsive to using and making tech a driver for progress, whatever your non-IT role is. Also, coders will get a pay raise when you realise the buss brains we have to endure to put together your systems *wink* *wink*. In short, add computer science, programming and coding as complements to Math and English as the fundamental education platform. BEAUTIFUL. You read my mind or maybe great minds think a like. I have my blog post drafted in front of me and this is the point I make in my intro. It is not the first time I am making this point. I made this point in my 2016 blog post, "25 Shortcomings in the ICT Space in Trinidad and the Region". Added to this was, eTextbooks and smart classrooms. So, shameless plug, you need to be following the blog and share with your bossy. The next point from his keynote that hit me was the need to create all rounded students. I also reached out to Jonathan Singer who was tweeting from the conference. I asked him, "Your thoughts on this conference?" and he responded, "The conference is very exciting. The conversation around growing technology, innovations, and global business is the reason I am here. I work in cyber and it’s a hot topic with all attendees." I would like to end with my bits. I am all for the fancy stuff BUT we have to get the basics right firstly and primarily. So don't let the fanciness and buzz words overshadow our basic needs. Decide on the right proportion of tech that compliments each other and avoids wastage. For example, there is such a thing as too much formal education (IMO). We have to balance time and money spent in formal education and actually doing work to push the country forward. Somebody has to do the "dirty jobs". Every organisation and company should have email, a properly maintained website, an IT support person and be easy to connect with online. Every citizen must be tech literate. There should be no digital divide. I don't have the stats but I feel most persons are comfortable with their internet and mobile service but there is a portion of persons where these services don't work for them. We need to look at this. I see the noise in the comments online. Then there is ecommerce and options for the underbanked. Then there is work from home and flexi-time. What about open data? We are lacking there. We have to develop our local developer and IT professional space. We have to let our international partners know that we want internship and job opportunities for our graduates. The newspapers and media outlets need to give tech a bigger voice. How often does tech news hit the front page? Share your thoughts with us in the comments below.